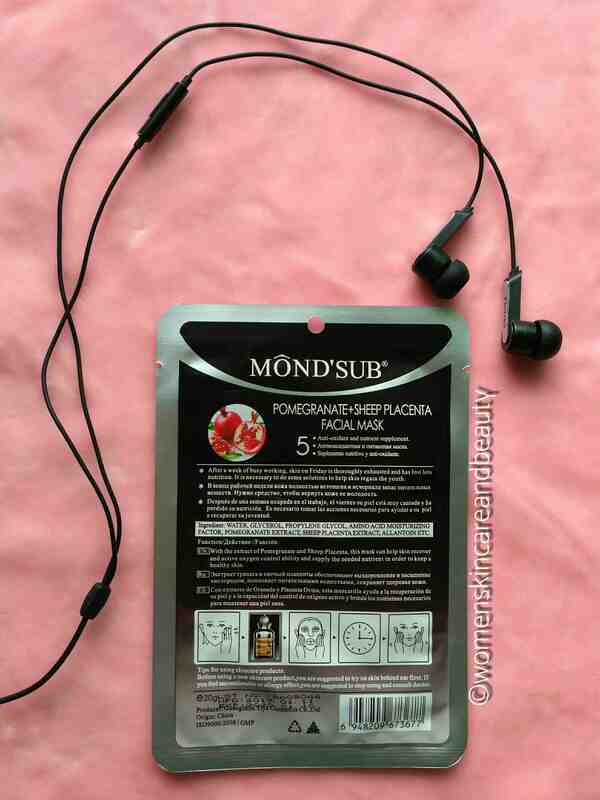 DESCRIPTION: 5 Anti-oxidant and nutrient supplement. After a week of busy working, skin on Friday is thoroughly exhausted and has lost lots nutrition. It is necessary to do some solutions to help skin regain the youth. With the extract of pomegranate and​ sheep placenta, this mask can help skin recover and active oxygen control activity and supply the needed nutrient in order to keep a healthy skin. 2. Tear the pouch and apply the sheet mask on the face properly; make sure there are no air gaps in between the face and the mask! 3. Leave it on for about 15-20 minutes. 4. Remove the mask and massage the remaining serum on the face. TIPS FOR USING SKINCARE PRODUCT: Before using a new skincare product, you are suggested to try on skin behind ear first. If you feel uncomfortable or allergy effect, you are suggested to stop using and consult doctor. INGREDIENTS: Water, glycerol, propylene glycol, amino acid moisturising factor, pomegranate extract, sheep placenta extract, allantoin, etc. COST: INR 149 for 20g(1 sheet). 1. Easily available online. Buy it from here! 2. Can be used anytime and without creating any mess. 4. Makes the skin really soft and smooth. 5. Makes the face quite bright and glowy. 6. Controls the sebum secretion to quite an extent but doesn’t leave the face dry; Infact keeps it moisturised! 1. The mask fits really well on the face except for the nose area. The sheet mask seems promising.. 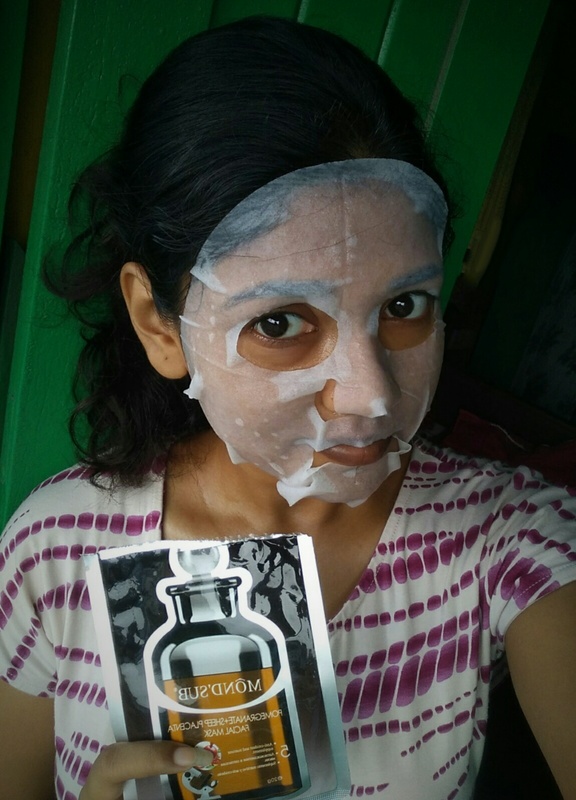 I can see the after mask glow on your face.. Will check this out..
Haha.. do try some.. this one especially is too good! I think the mask is really hydrating and effective. I never knew about this brand. or something like this product. 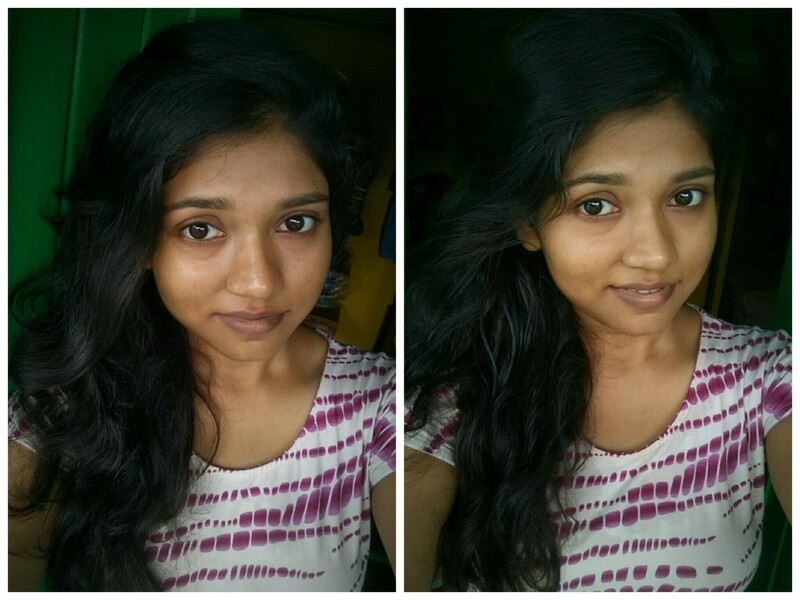 I would love to tryu and the result shows that the face is shining after using it. Looks like a great product and its effect is so evident in your pictures. can see the instant glow!! 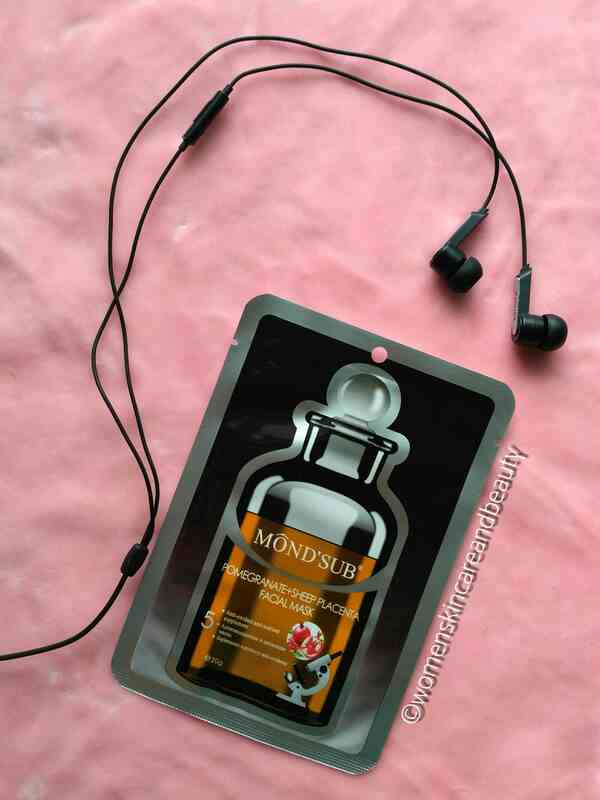 This facial mask from mond’sub sounds really amazing! Wow I loved it ❤ definitely getting this pretty soon? Wow this looks amazing. I am little intrigued by sheep placenta. Is it really like one of the ingredients? This is really new and interesting. Loving mondsub mask these days. They are truly hydrating. Can see the difference in the before and after pics. The mask looks amazing. Will try it out for sure. Hey i can see your glowing face and good to hear it works and i will.definately try it! Wow this sheet mask seems very great. Liked your detailed review. Will try this soon. I wanna try this facial mask, sounds so refreshing! Wow great, a sheet mask does​ so much to the facial skin. Mine is also very oily skin so, i always feared to try something new from a new brand. But your review makes​ me very excited to try it very soon. Bqz it can be used anytime of the day without creating any mess. Oh, you really impressed me so much that i will try to buy it very soon.